Learning Capture- Pizza making day! 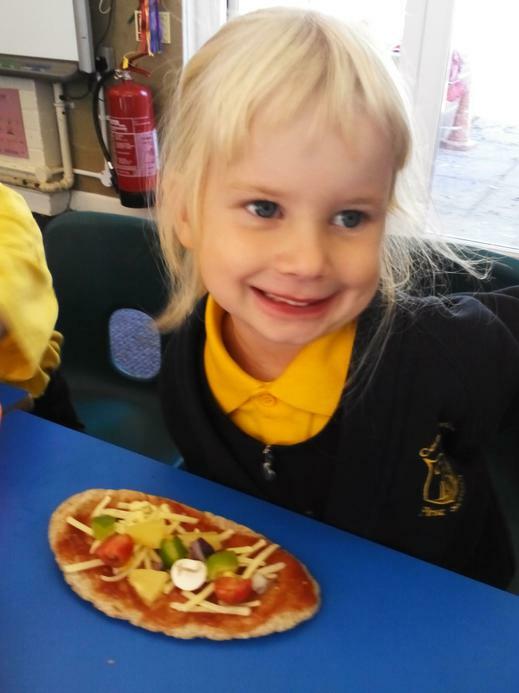 Giant class had their very first learning capture on Wednesday- making pitta pizzas! We read the recipe together, checking the list of ingredients and equipment carefully. 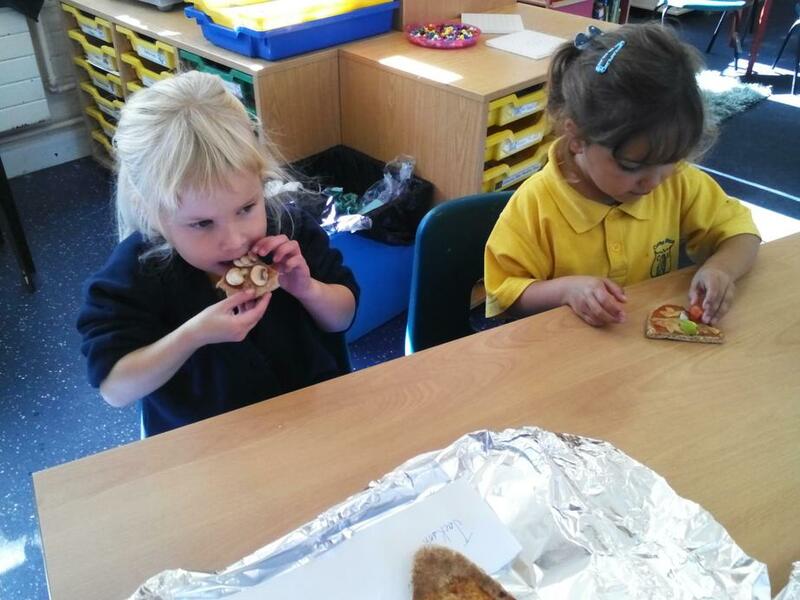 Then we worked in pairs to make our pizzas, taking them to the oven to grill when they were ready. 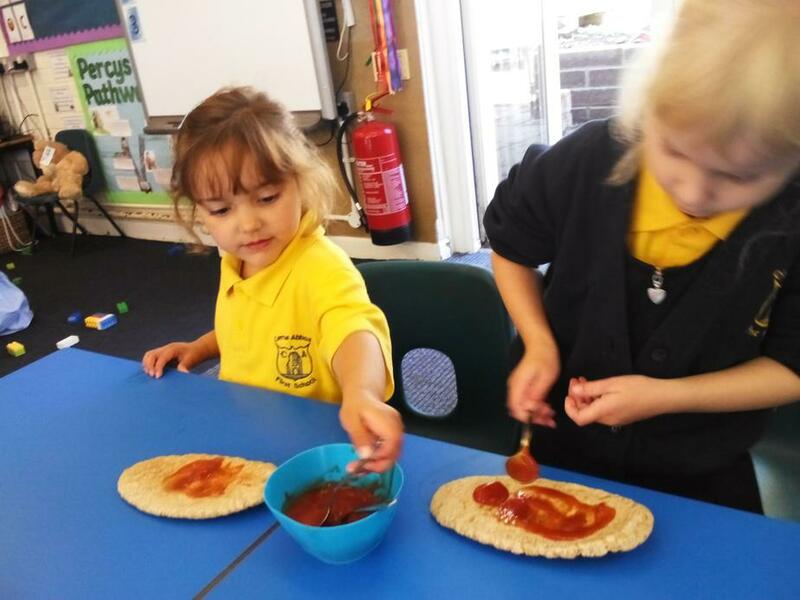 First we had to spread the passata over our pitta base, and then sprinkle some herbs and cheese. 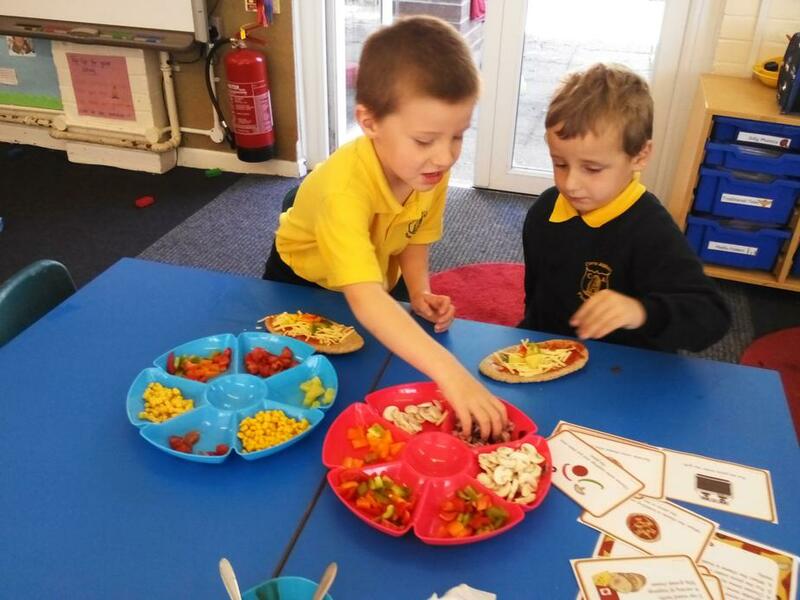 Then we chose our own toppings from a selection of peppers, sweetcorn, mushrooms, tomatoes, pineapple and red onion. 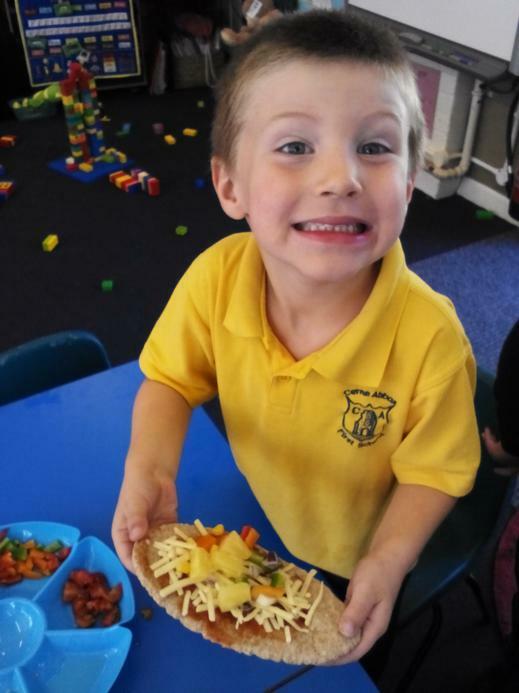 We were very excited to taste our pizzas! So when they were ready and cool we had a taste! The giants were very adventurous and keen to try new things. 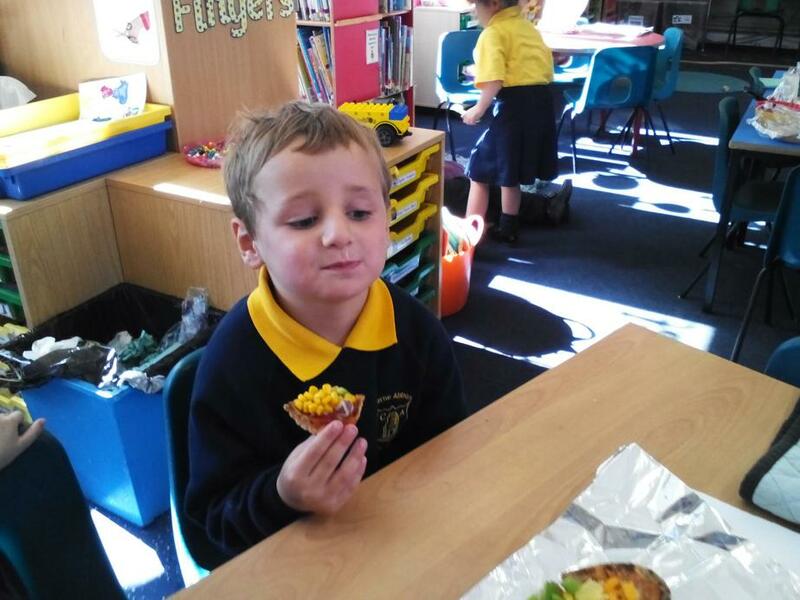 Lots of them hadn’t eaten pineapple on a pizza before; most who tried it said it was very yummy! Well done giant class! 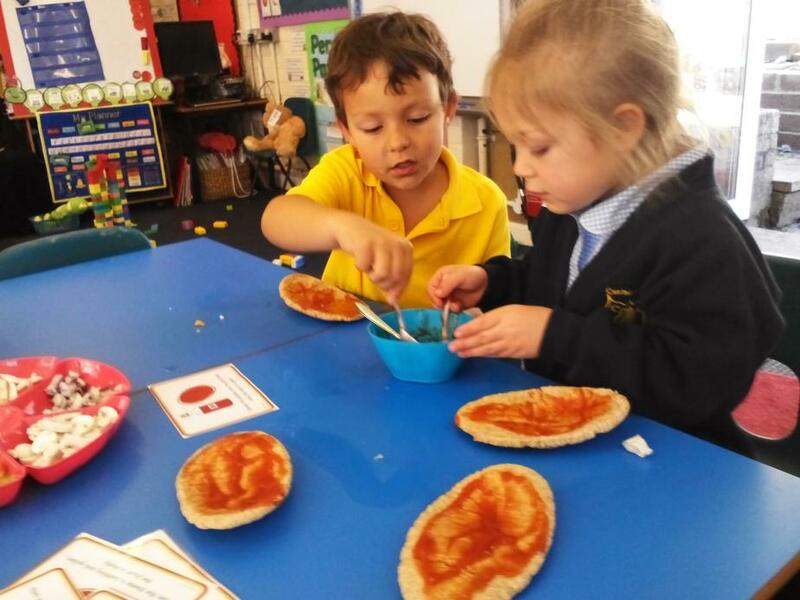 Maybe you can share the recipe with your family and make pitta pizzas again at home!